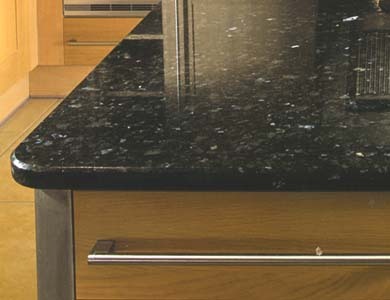 For many homeowners, upgrading your home's kitchen with marble or granite counter tops is a good way to add value to your home. Unfortunately, the addition of quality marble to your kitchen can be very expensive. To protect your investment it's important to stay vigilant against wear and tear. All too common are the cracks or chips that may appear in your marble counter tops. From time to time we get questions like; How to repair marble? How to repair chipped marble? How to restore marble? When repairing chipped marble, ensure that the area has been cleaned thouroughly and dried with a very absorbent fabirc. Something similar to acetone is strong enough to clean the surface, while not degrading the marble. Next, adding a poly-epoxide or similar bonding material, place a small amount on the bottom of the chip and place it back into the divet. Apply pressure for a few minutes to ensure that it's firmly in place and hold tightly. Once secured, be sure to whipe away and epoxy or glue that has been left behind. If you're looking to repair marble or restore marble in your home, it's always good to consult with a specialist in this area. One such specialist is Classic Marble Restoration based out of Miami, Florida. Classic Marble specializes in restoration and cleaning of marble and stone.